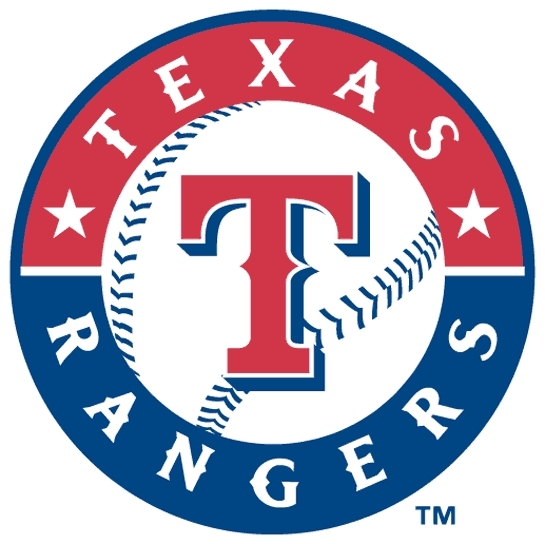 – The Texas Rangers became the first team to advance to the ALCS, as they defeated the Tampa Bay Rays 4-3 today with the help of 3 home runs from star third baseman Adrian Beltre. Tip of the cap to Tampa Bay for even making the playoffs this season. Yes, it took a monumental collapse by the Boston Red Sox to sneak in, but the Rays did have to win their games as well. After a 9-0 game 1 victory, I thought that Tampa would eliminate Texas, even though I think Texas is an overall better team. Momentum is a crazy thing in sports, and it can take teams very far if they hit that stride at the right time. Unfortunately, it wasn’t the year for the Rays as the Rangers now await the winner of the Yankees/Tigers series. Don’t sleep on the Rangers as possible World Series contenders. They were at the big dance last season, have a stellar line-up that features the hot-hitting Beltre, Josh Hamilton, Ihn Kinsler and Michael Young, and possess arguably the best pitcher in baseball with Justin Verlander.They should be considered the favorites in the next round, no matter who comes out of the New York/Detroit series. 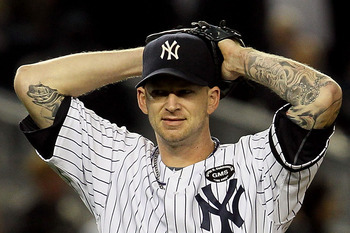 – Speaking of the Yankees, I have no faith in A.J Burnett to pull out a game 4 victory tonight. Burnett is the Tony Romo of baseball, because he is wildly inconsistent and you can never have 100% security in him bringing his “A” game on a regular basis. If it is any consolation, Detroit will be sending Rick Porcello to the mound tonight, who despite a 14-9 record, is only making his first post-season start tonight. I predict both pitchers put on equally lackluster performances tonight, as the bats come out in full force resulting in a close 9-7 Yankees win, sending this series to a 5th and deciding game. 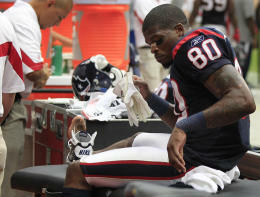 – Bad injury news for the Houston Texans as it looks like WR Andre Johnson will be missing an undisclosed amount of time due to a hamstring injury he suffered during Sunday’s game against the Pittsburgh Steelers. This would be a huge loss for the Texans, since Johnson is all they have as a credible threat in their passing game. Next to Detroit Lions star Calvin Johnson, there is no better receiver in the game today than Andre Johnson. His combination of size, strength and speed make him bad news for defenders on most days. This is also a critical time for the Texans, because suddenly the Tennessee Titans have made themselves relevant in the AFC South race, tying the Texans at the top of the division with a 3-1 record. As soon as Colts Mega-star QB Peyton Manning went down with a neck injury, many figured that it would be a one-team race from that point on and that Houston would run away with the South, making their first playoff appearance. However, Matt Hasselbeck has rejuvenated the Titans offense, throwing for 8 TD’s compared to only 3 picks. Losing Johnson for a long period of time would certainly hurt the Texans in this race, giving the Titans every opportunity to create some space between them. Andre Johnson is irreplaceable on offense, so now players like Owen Daniels, Jacoby Jones and Kevin Walter will have to step up for as long as Andre is out of action.